Upon arrival to the practical driving test centre, you will have a short wait before your examiner comes to call your name, introduce themselves and ask to see both parts of your provisional driving licence. After the formalities of signing the declaration form stating that you are who you say you are and that you are legally entitled to drive the car for the test, you will be asked to show the examiner where your car is. On the way to your car, the examiner will briefly stop you to conduct a simple eye test. Although the driving test eye test is simple, your driving test can easily be terminated if you fail the eye test. Explained is the driving test eyesight test and what’s involved. If your need to wear glasses or contact lenses to read the number plate, you must also wear these during your practical driving test. 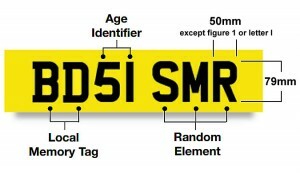 Essentially, you will be offered three chances at correctly reading the number plate during the eyesight test. If you failed the first attempt, the examiner will request that you try an alternative number plate on a different vehicle. If on the second attempt you failed, the examiner will measure the distance to ensure accuracy and you will be offered a third and final attempt. Failure on the third attempt will result in the driving test being terminated and as a result, your driving test fee will be lost. It is a requirement that examiners terminate the driving test on the failure of the third attempt at the driving test eye test as it is a legal requirement that all drivers must be able to read a number plate from the distances specified. It is the driving test candidates responsibility that they ensure they take precautions to ensure their eyesight will meet the legal requirements and that they take appropriate eyesight correction wear if applicable to the driving test. 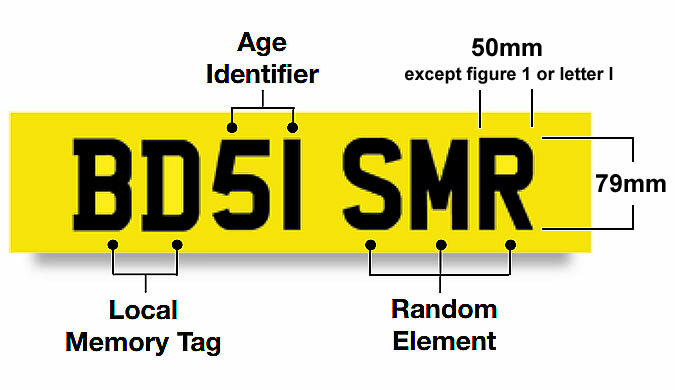 Learner drivers and qualified drivers must by law be able to read a UK number plate from the distances specified above regardless of age and experience. Driving with bad eyesight can potentially result in a fine and penalty points. Police officers may stop your vehicle and test your eyesight by using the driving examiners method if they feel that it may have been the result of them stopping you. If you are unable to satisfy them that your eyesight is safe for driving, it may result in 3 penalty points on your driving licence and anything up to a £1000 fine. The driving test eye test is compulsory and although the majority of test candidates do pass the eyesight test, for those that don’t, it is a particularly unfortunate way to fail. If you do fail the eyesight test, the DVLA will be informed and your licence will be revoked. Upon reapplying for your licence, the DVLA will request that you take a eyesight test at a driving test centre and pass in order to receive your licence. You will still be required to take the standard eyesight test when attending your practical driving test.